I am enthusiastic, but not blind, I am determined, but not inflexible. 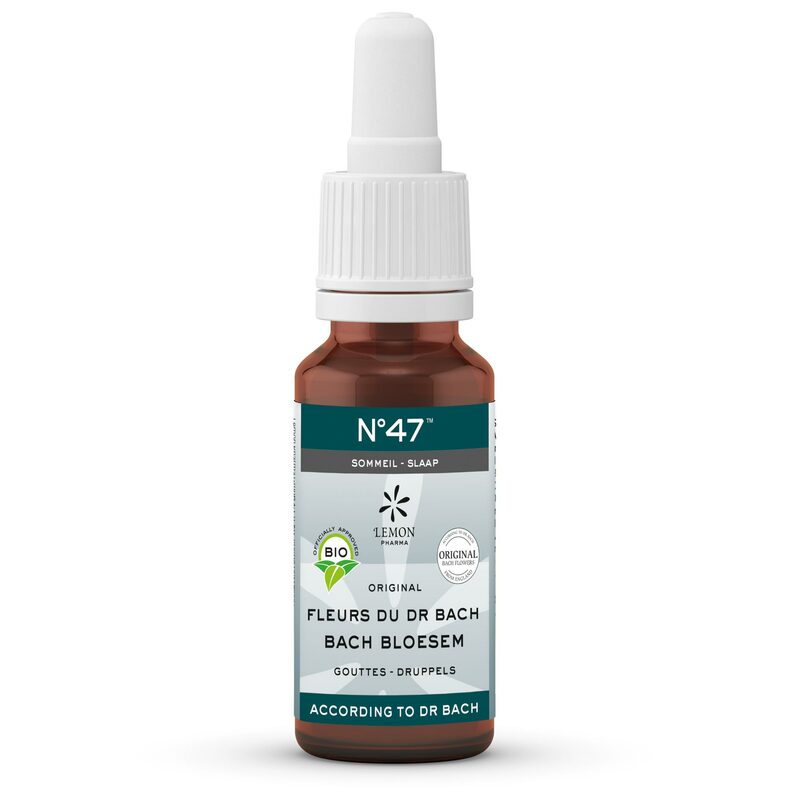 N°47 liquid drops SLEEP contain 5 flower essences of Dr. Bach in organic brandy. brandy* (27% vol. ), original Bach flower essences*: agrimony, chestnut bud, centaury, impatiens, walnut, elm, cherry plum (*certified organic).